School Loveland: School's Out for Summer-Don't Stop Learning! School’s Out for Summer: Don’t Stop Learning! As summer approaches, both parents and students are able to enjoy the sunny days, warm nights, and a more relaxed schedule. Even if your kids are not in school, you still want them learning and exploring, and summertime is the perfect time to explore the outdoors and continue learning. Consider what fun activities you can add in this summer to expand your child’s mind and keep them entertained. New Vision Charter School in Loveland, Colorado is ideally situated to explore the many wonders of summer in the Rocky Mountains. Just a short drive away is Rocky Mountain National Park, where you can hike hundreds of miles of trails, explore alpine tundra, and look for Elk in the open fields. Getting outside with your kids can be a great chance to learn more about the history of Colorado, the species of plants and animals here, and the environmental impact people have had on this area. Just because your child is not inside with a textbook doesn’t mean they can’t learn and be inspired by the great outdoors! 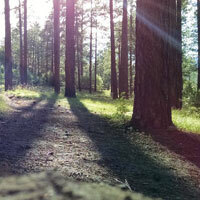 Another great outdoor activity to take advantage of this summer is geocaching. Geocaching can teach your child about maps and directions, and is a fun treasure hunt for all ages! All you need to get started is a smartphone with a geocaching app, your kids will quickly figure out the rest! Knowing there are hidden treasures is enough to keep them motivated and get everyone outside! Sometimes the summer heat makes you want to head indoors, and there are great options around Loveland to explore this summer. Timberlane Farm Museum is right next door to New Vision Charter School, and preserves the heritage of the Big Thompson Valley. Explore the two historic homes, out buildings and gardens that have been restored, to see what life was like in the late 19th and early 20th centuries. Timberlane Farm also holds various festivals (complete with a blacksmith!) and day camps, so if your kids love history, be sure to check them out! 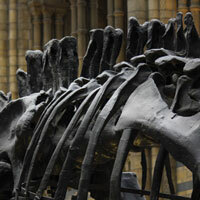 Another great option for those hot summer days is the Fort Collins Museum of Discovery. Here you can learn about the first people of Colorado, and how Fort Collins was established from a military camp in 1864. Another great focus of this museum is their Music and Sound Lab where you can learn about the physics of sound, get to play instruments, and even learn about the history of the Fort Collins music scene. They also have the OtterBox Digital Dome Theater, which shows great educational movies on a 35 foot diameter dome screen. If you need a fun filled indoor activity this summer, check out the Fort Collins Museum of Discovery! Right in the heart of Loveland, there is a great art museum with exhibits that change every 8-12 weeks. If your child loves art, checking out this ever-changing museum will give them inspiration and expose them to many different kinds of art. In addition to great art exhibits, there is a permanent history installation that will give your child tons of information about the history of Loveland. Explore the cabin of Mariano Medina (one of Loveland’s first residents), learn about the Great Western Sugar plant, visit Proctor’s Alabaster Shop, or stroll Main Street, USA- a look into the early days of the city of Loveland. These exhibits are hands-on, and great for kids and adults of all ages-check out the Loveland Museum this summer! There are many festivals in Northern Colorado where your child can learn about music, art, or food and culture. One of these that will appeal to any knight and princess loving child is the Colorado Medieval Festival. Here you will see medieval costumes, dancing, sword fighting and the Highland Game Competition. If you have a child that loves to dress up and immerse themselves in the medieval world, this is the festival for them! Don’t forget to grab a giant turkey leg while you’re there! If you have a child that loves to read, or you are trying to keep the momentum of a new reader going this summer, check out the summer reading program at the library. Your kids can earn points by reading, playing games, and being active in the community. Points can be redeemed for great prizes! A reading program is a great way to stay on track with reading during the summer, and keep your mind sharp and engaged while not in school. Help encourage a lifetime love of reading in your child by signing up for a reading program this summer! With all of these great activities, summer will go by in a flash, and soon it will be time for school again. 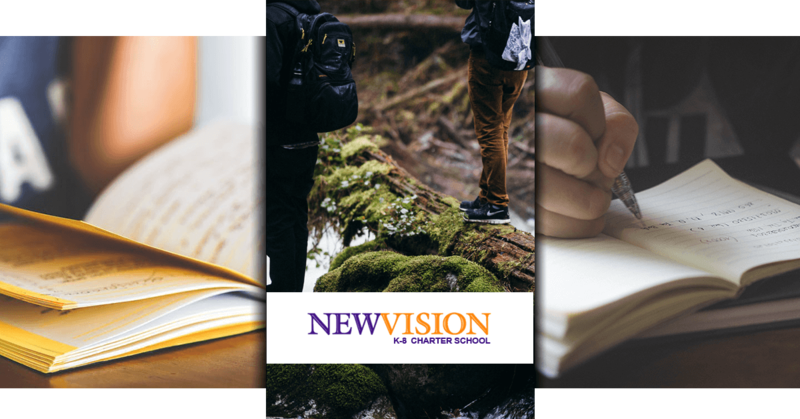 If you are looking for a great school to encourage a love of learning, New Vision Charter School in Loveland is a school that utilizes the Core Knowledge Curriculum, smaller class sizes, and character training. No matter what season it is, encourage your children to never stop learning and growing!